A NEGLECTED dog’s coat turned yellow from living in a cramped cage sodden with filth, shocked animal cruelty investigators revealed today. Repeated baths have still not removed all the yellow staining suffered by the terrier who shows tell-tale signs of living most of his life in a cage. The dog, aged about three, has long claws from not being walked regularly and also bad teeth. 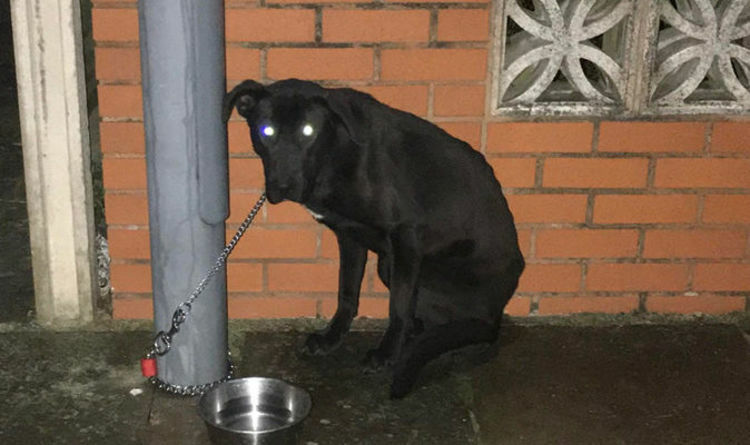 He was found abandoned on a track last week – the fourth dog to have been dumped in Stoke on Trent over the last month in a spate of animal neglect incidents that have created global headlines. CCTV images of a white Staffie called Snoop desperately trying to get back into a car having been thrown on to the streets before Christmas have gone viral, creating a huge clamour to rehome the poor animal. Even rap superstar Snoop Dogg has offered his namesake a home. Three of the cases are being investigated by RSPCA Inspector Charlotte Melvin. 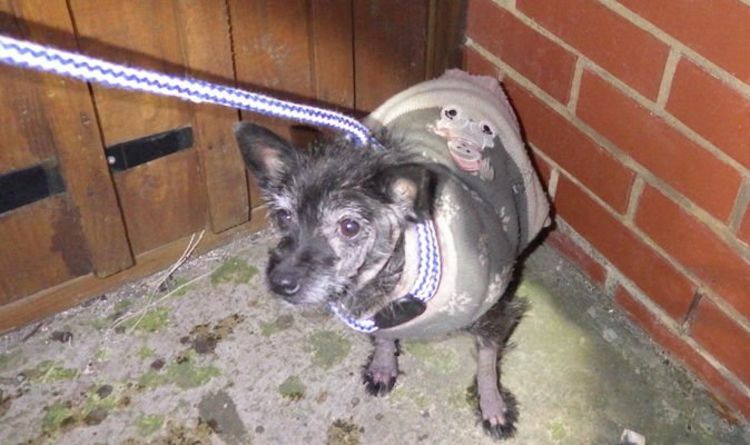 They include a dog left to die in a ditch and a mother dog turfed on to the streets just days after giving birth. She has been nicknamed Peppa because she has lost a large amount of her fur from a mite infection, leaving her showing her bright pink skin like the children’s television character. Pictures released by the RSPCA today show how the latest dumping victim still displays a yellow belly and stained feet despite repeated baths since his rescue in Biddulph, Stoke on Trent, last week. 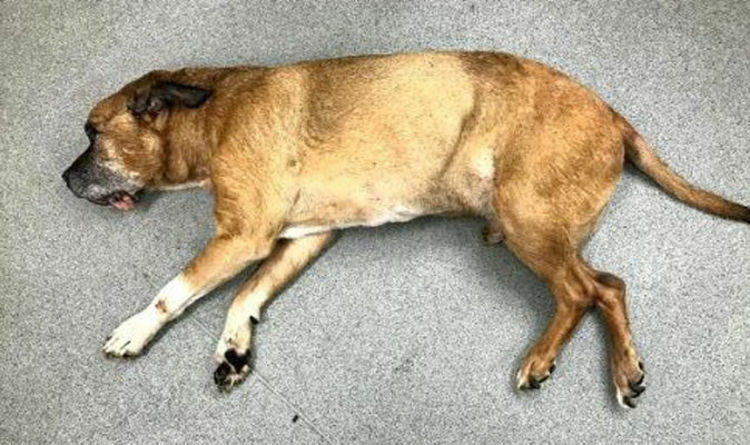 A passer-by found the frightened and underweight dog on a track and rushed him to Charter Veterinary Surgeons. 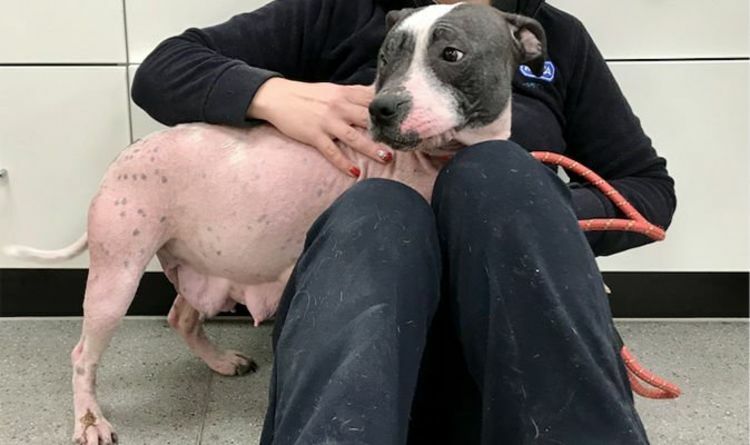 Read also: Peppa the abandoned dog named because of her bright pink skin (Image: RSPCA) Days after CCTV footage of a dog called Snoop being turfed out of a car went viral worldwide, animal cruelty investigators are probing two new cruelty cases in the city. Inspector Melvin said: "Staff discovered health problems which indicate he had been kept in a cage for a long time. The dog was covered in faeces and urine, suggesting he had been laid down for long periods in it. Even after several baths his coat underneath was yellow. 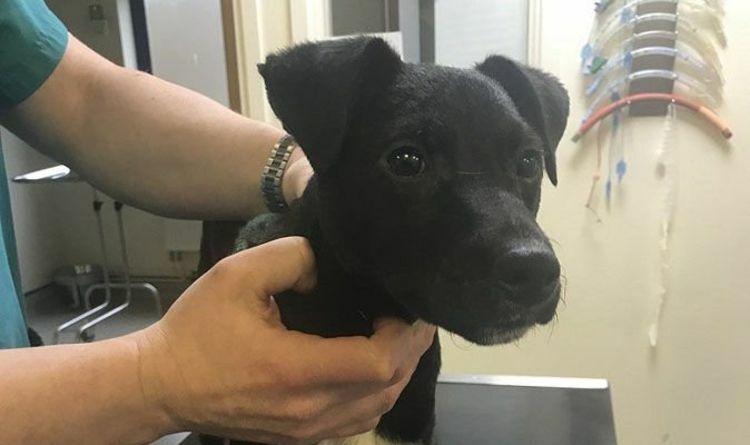 Inspector Melvin is also investigating the death of a Jack Russell terrier-type dog found under a bridge on the A527 near the Chatterley Whitfield Estate on December 29. 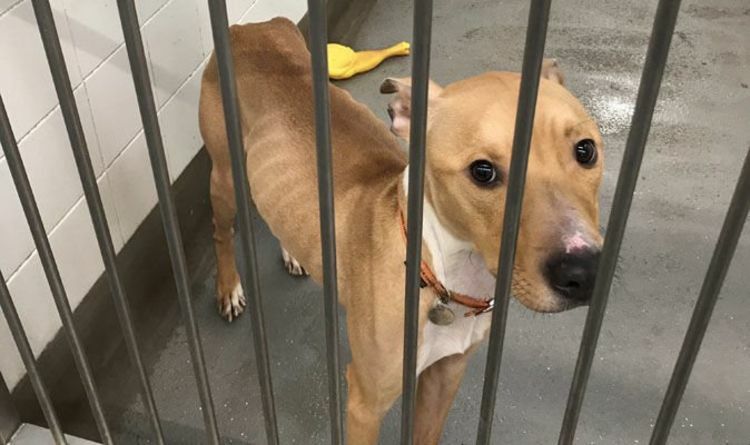 Not only was the dog severely emaciated, it is believed he had also spent his entire life in a cage because of the condition of his claws. Besides having matted fur that had never been brushed, he was covered in sores and had urine scald burns. It is believed he died in the ditch. Peppa, the almost bald Staffie, was found wandering near the busy A50 Uttoxeter Road on January 2, one or two days after giving birth. There are fears her puppies will not have survived without her milk. These Stoke on Trent cases follow the outrage over the dumping of Snoop shortly before Christmas. CCTV images showed a man getting out of a car with Snoop and his bed then deserting him on the pavement on the other side of the road. Snoop was filmed climbing up at the car, wagging tail before the vehicle drives away. Since Snoop's rescue there has been a clamour by animal lovers to own him. As the investigation into the case continues, Snoop is being helped to recover from his ordeal at an RSPCA centre in Shropshire. RSPCA spokeswoman Rachel Butler explained: “It is still early days for Snoop as what happened has caused him a lot of distress. Staff who are caring for him have found that he has severe separation anxiety, which is no surprise after what happened to him.